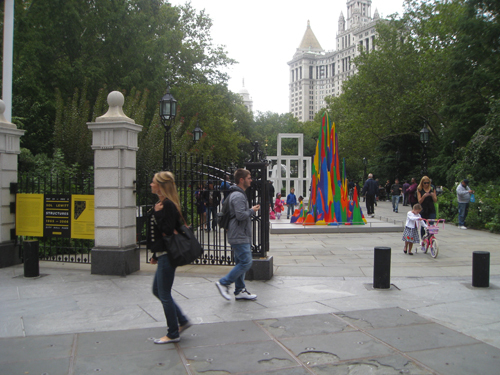 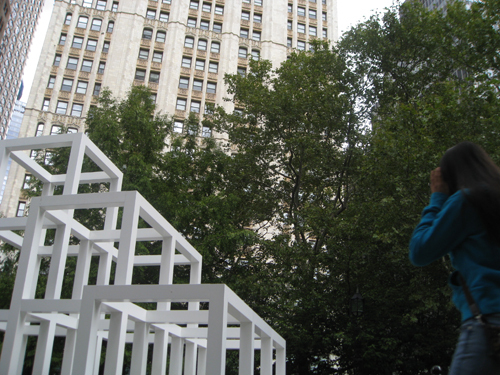 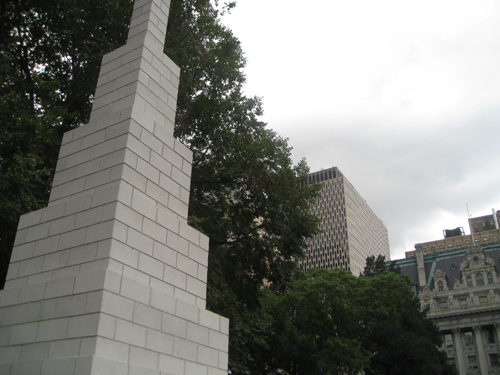 NEW YORK—City Hall Park has been transformed into a sculpture garden. 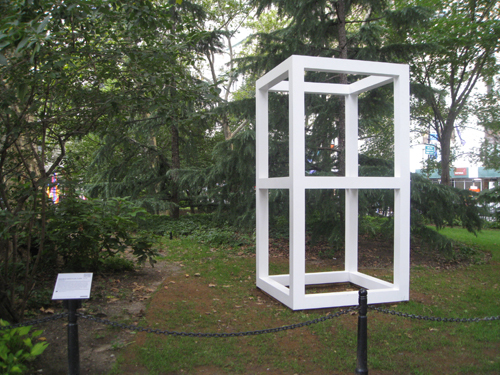 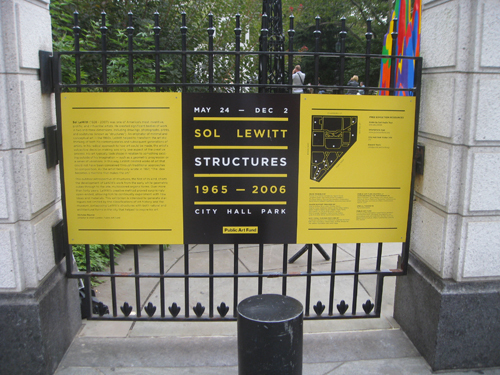 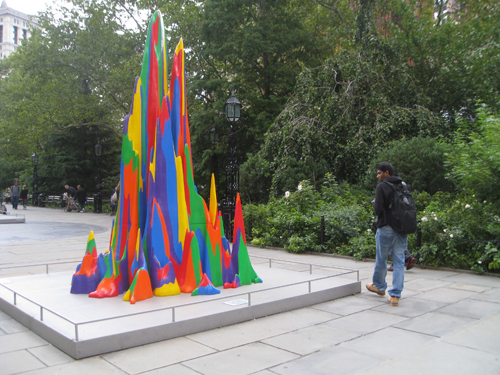 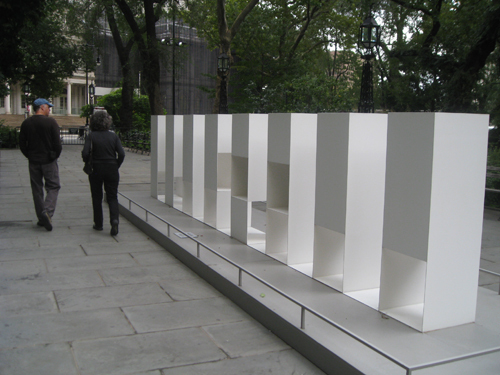 The outdoor retrospective of “Structures” by Sol LeWitt (1928-2007), who helped define the Minimalism and Conceptualism movements, was made possible by the Public Art Fund. 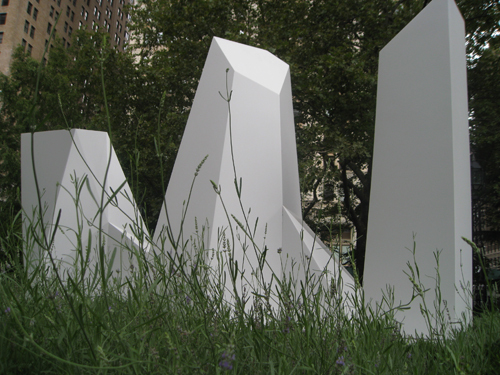 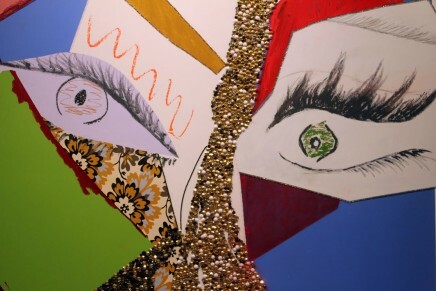 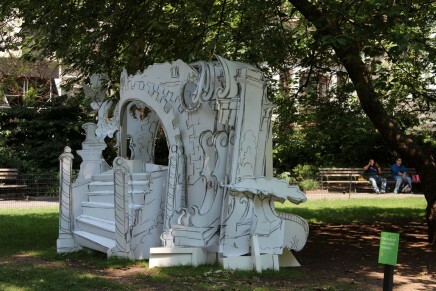 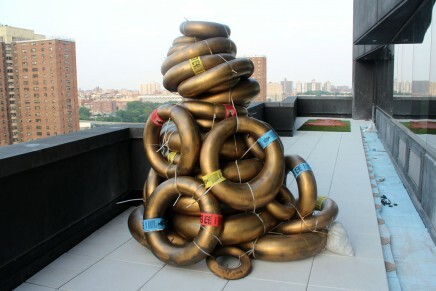 The structures are on view from May 24 to Dec. 2, 2011. 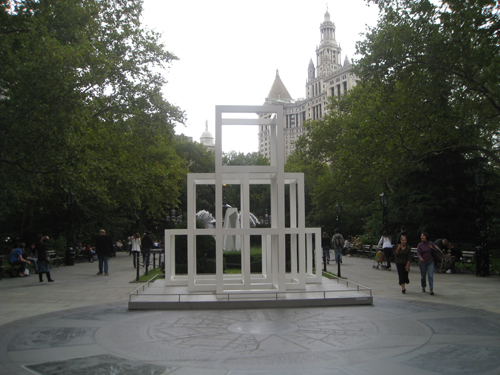 The late artist has a number of other works on display around the city—several wall drawings and a tile installation, “Whirls and Twirls,” at the Columbus Circle subway station.